Egypt is a very beautiful country which is famous for their inventions and technologies like water clock, the ox-drawn plow, blue ink, wigs etc. and the monuments of Egypt like Pyramids which also comes under the seven wonder of the world and the Sphinx are very ancient. Egypt is the best place for those people who are interested to visit historical place or site. So if an Indian is planning to go to Egypt then he or she first has to apply for the Egypt Visa. Before applying or filling Egypt visa application know your core purpose of visit. Depending upon the purpose of visit Egypt issues tourist, business, transit or work visa. 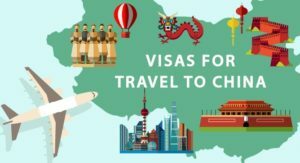 Business Visa – If the applicant is planning to go for any business meeting or conference or any other activities related to business then they have to apply for a business visa. The applicant has to fill the online visa form correctly and if you are applying for offline then firstly you have to download the form and then fill it correctly. The applicant should have their two passport size photographs with the very light background (size 35 X 45). Photostat copies of your previous passport and original passport. The validity of your passport is for at least 6 months with two blank pages. Proof of your last 3 years income tax return. It is mandatory to give the proof of your bank statement for last 6 months (minimum balance 50,000INR), duly attested (signature and stamped) by the bank. Applicant has to give the proof of their hotel’s bookings along with the name and number of the hotel. Proof of their confirmed return tickets. A cover letter is given by the applicant to the consultant or Egypt Visa embassy in whom he or she has to mention the purpose of their going to Egypt with their daily itinerary. Applicant has also provided the No objection certificate. Passport with at least 6 months validity beyond the intended stay in Egypt. 2 Recent passport size photographs with white background. Duly filled & Signed Egypt visa application form. A cover letter on Indian company’s letterhead with all trip details. A letter of Invitation from the business associates in Egypt, a copy should be faxed directly to the Embassy. A letter specifying the full details of the Inviter. Financial proof like Bank statements of last 6 months & ITR of last 3 years. Firstly you have to visit the official website of the Egypt Visa and then fill the form with all the required documents. The applicant has to select the payment option and after the whole inquiry, you can get your visa easily. 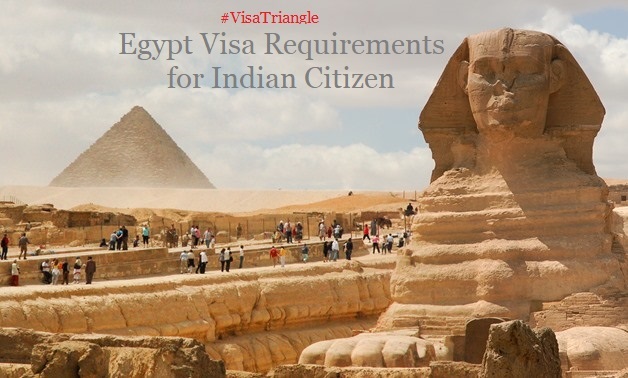 For processing Egypt visa in India, it will take approx 5-7 working days. In case of additional documents required then processing time will get extended. This above information may help you to apply for Egypt Visa application form but still if you are not satisfied with the above content so you can contact Visa Triangle because our visa company is always ready to help you. Our visa company will also help you out with services like cheap Flight tickets, best deal in hotel bookings, medical insurance, travel insurance, Best tour packages to Egypt etc. Click here to contact, visit or call us for any assistance regards Tour & Travel around the world.